Fixture Displays Padded Shoe Fitting Bench With Mirror is Ideal for footwear, ski, snowboard, sports retail outlets. Bench comes with black padded seat cushion and two angled mirrors on both sides. 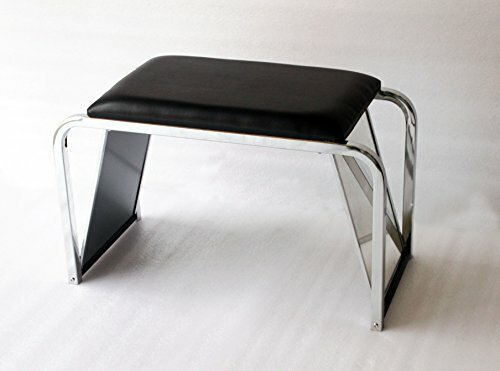 Chrome plated steel construction makes it more durable. Measures 26" long, 17.3" tall, 12" deep. Ships knock down. Bench comes with easy assembly instructions and all required hardware and tool. Simple design saves space for shipping and storage. If you are attending tradeshows, get this shipped to the show site cost a fraction compared to fully assembled units.